This week saw us going on an adventure to Crocky Trail. We’ve been thinking about visiting for a while now, we went years ago when my nephew was the munchkins age (he’s now 12) and I just knew that it would be something she would enjoy! We were lucky enough to be offered passes to use this half term, so off we went! We layered up, waterproofed up, picnicked up (bog standard ham butties & sausage rolls, couldn’t find a flask so used the Froglets tommee tippee hot water thing for a brew) and took a change of clothes for all of us, including the baby. From what I could remember there was plenty of mud involved. 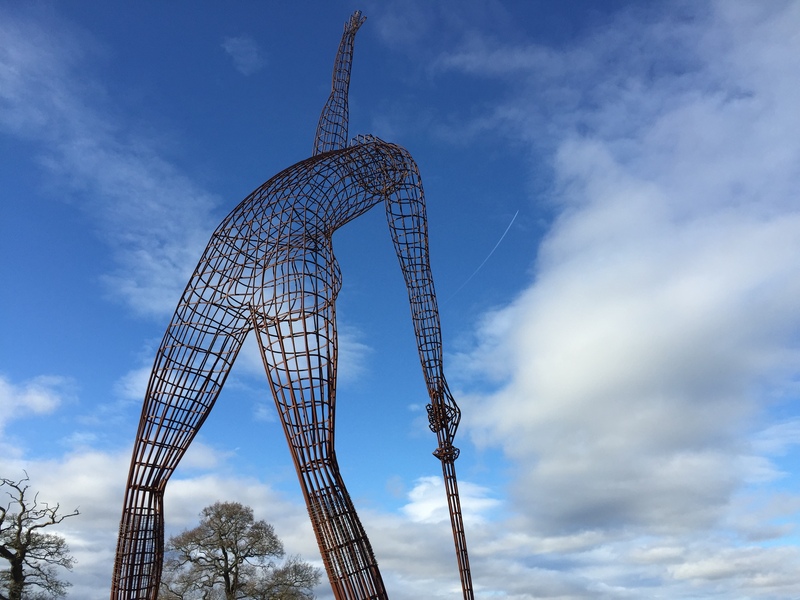 It’s in Chester, so about an hour away from us but really easy to get to from the M56/M53, as we’re SatNav less we just followed the directions on the website which were simple enough. The munchkins excitement levels were at an all time high, she couldn’t wait for us to get there. The whole place is like a giant assault course and it’s absolutely brilliant! There are loads of ‘rides’, some you spin or swing or twist yourself and others that are mechanical that you need to hold on for dear life before encountering a tummy flipping slide. The munchkin dared to go on virtually all of the slides no matter the height and most of the other things that span and twisted you around or pushed you off. She was reluctant to try some things if there were too many bigger kids on unless her daddy (I’m a big chicken) went on with her. He was quite happy to oblige. The froglet, well, he slept most of the day. The actual trail is a mile long walk around a field, there are bridges and planks and poles snaking across a stream inbetween trees and bushes, broken up by swings and zips and even more climbing things. It’s muddy, slippery and wet which just adds to the whole experience. We had so much fun. We laughed a lot, me mostly at the excitement, terror and then relief on the munchkins face as she approached and got over each obstacle. She didn’t laugh so much when she ended up in the stream at one point, the cold was a bit of a shock, we couldn’t help chuckling! I was impressed with daft things. There was loads of places to sit and picnic. Tables, benches, in tree tops, over the stream in little huts, in the summer there’s room for picnic blankets and camping chairs, Bins for rubbish and recycling. There was a wash area and a changing area, if you were really caked in dirt. The toilets were clean with lots of loo roll. There was lot’s of staff, who all had high vis jackets on, around the site and a first aid hut. Totally mumsy of me. There’s also a hut you can buy hotdogs from, if you don’t take a picnic. They sell ice cream and slushes and there’s hot drinks for sale too! 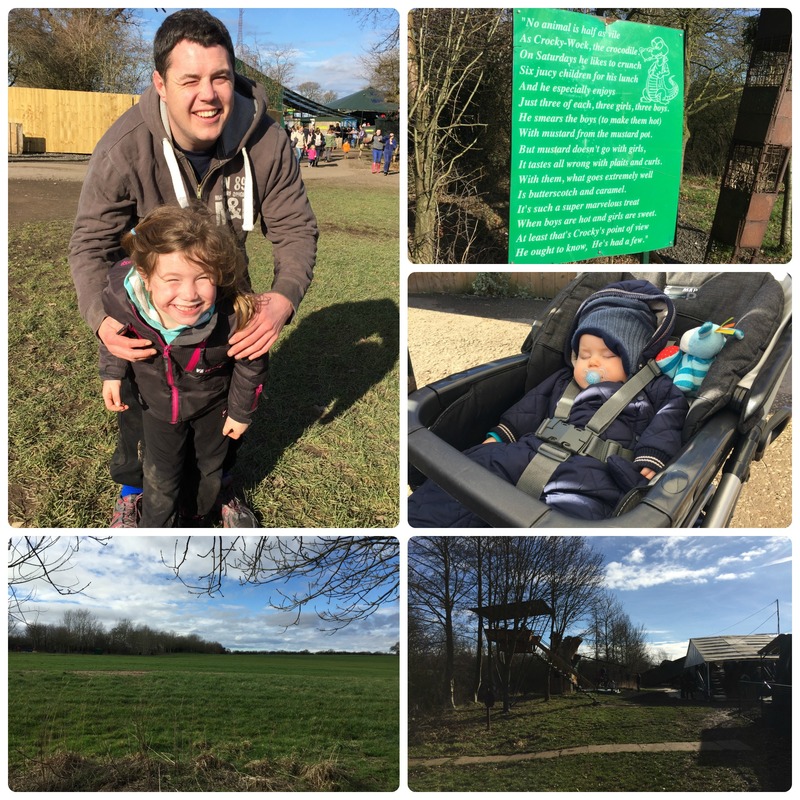 The website does say that the site is pushchair friendly and on the whole it is, however we found it really tough going on some parts of the trail, I’m not sure if down to our pram or my driving of it. It wouldn’t put me off going again though with the baby, next time one of us will carry him in the baby carrier thing, as there is a path all the way round that avoids all obstacles. We had a brilliant day. Crocky Trail is everything good about being a kid. Outdoors, adventure, excitement, risk taking (within reason,) adrenalin, butterflies in your tummy, running around, getting muddy and lots and lots of fun! We will definitely be visiting again! 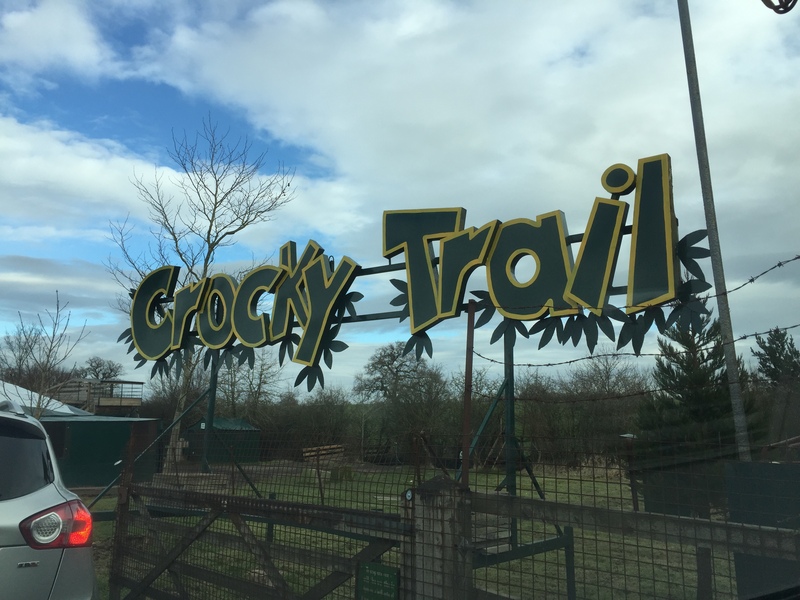 We were kindly given passes to Crocky Trail for the purpose of this review. All words, opinions and fun had are our own and completely honest. I think that’s what makes it good, that adults can join in too! It’s a lot of fun! Can’t wait to go again! I really, really want to go having read that and watched the vid; it looks fab. It is such a good day out! We will definitely be visiting again this year! fab. Really glad you had a good time! It’s great isn’t it. Wow, this looks like a great place to explore as a family Munchkin looks like she’s having the time of her life on all of the activities they’ve got there. I bet Mr C had a blast helping her around the course as well. I’m sure you’ll be going back there plenty and you’ll be taking Froglet back when he’s old enough to have a go too! Thanks for linking up with Country Kids.